Previously I posted about Little Red Wagon Coffee Roasters Geo coffee packets. I was excited to try another option for coffee on the trail. 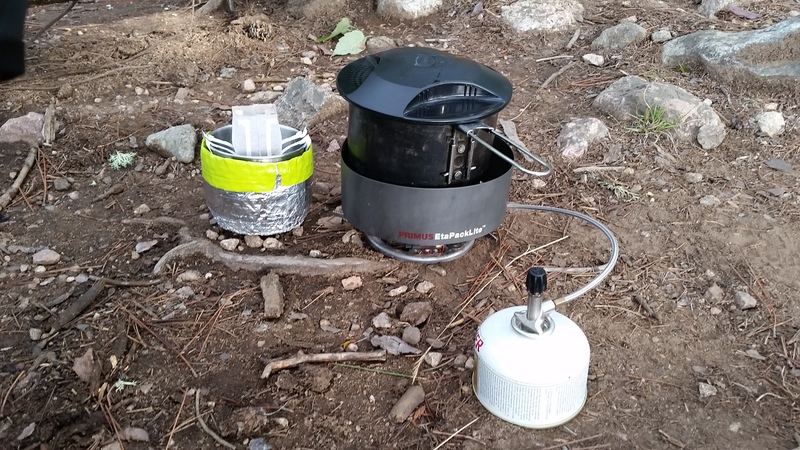 The thought of high quality coffee while backpacking had my mouth watering. There’s nothing like rolling out of your tent on a cool morning for some vestibule side coffee. Well, the Geo packets do make great coffee… when I made it in my office. The problem in the field is that it takes far too long. The filter is slow. So slow that by the time my full cup had brewed, it was cooler than I would prefer. And it wasn’t even that cold of a morning. In winter, I would really regret this option. Also, many mornings, we wake, eat, pack, and go. The Geo packets took too long and required too much tending. It seems that the filter is too small and/or the grounds were too fine. For now, it’s back to the Starbuck’s Via packets.